When looking for toys I always try to make sure they are fun yet educational in some way too. It’s always good to bring out the creative side in kids. 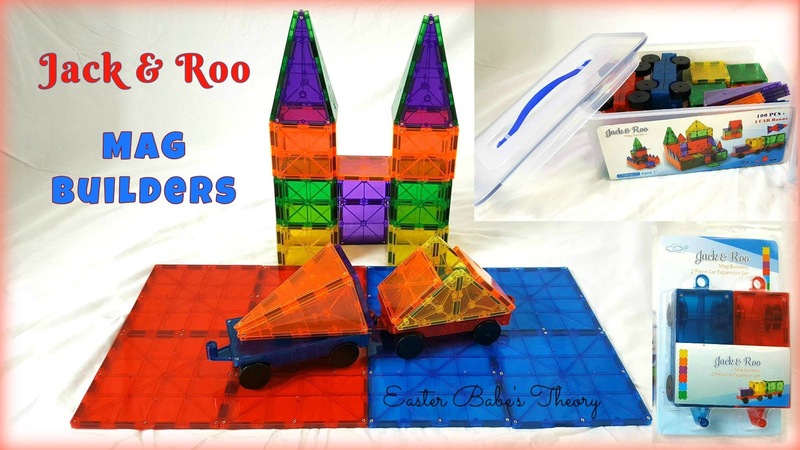 Jack & Roo has an amazing toy set that kids are sure to love. 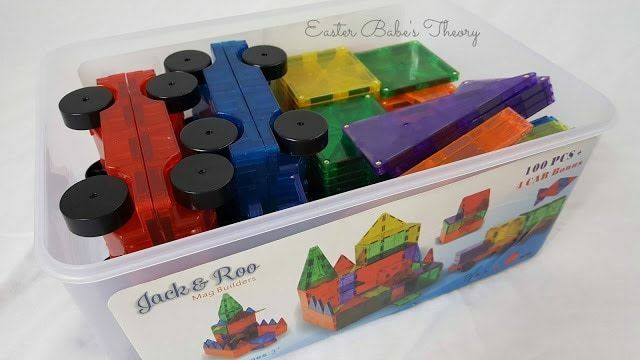 To be honest, I had a great time playing with the Jack & Roo Mag Builders toy set too. The magnetic building tiles come in a large 14″ x 6″ x 10″ heavy duty plastic carrying case. Everything can be stored nicely and neatly for storage. The set consists of 100 magnetic building tiles and and four flatcars. Also included is an “Idea Book” for inspiration. It shows different designs that you can make. Some of the ideas include: rockets, sun, fish, castle, dog house, ferris wheel, boat, truck, train, and lots more! 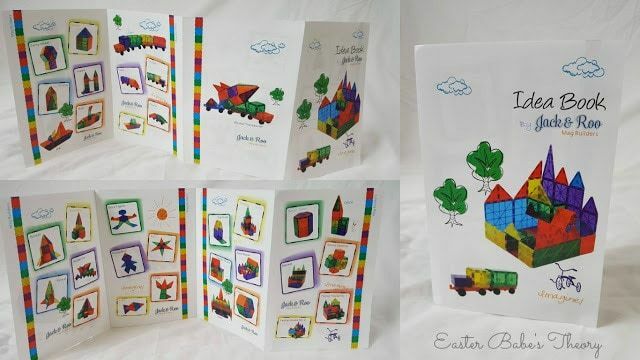 The designs range from simple to complex so it’s good for a wide range of ages. It is suggested for ages 3 and up. The magnetic tiles are available in about seven different colors and multiple shapes along with different sizes. There are two red flatcars and two blue flatcars. 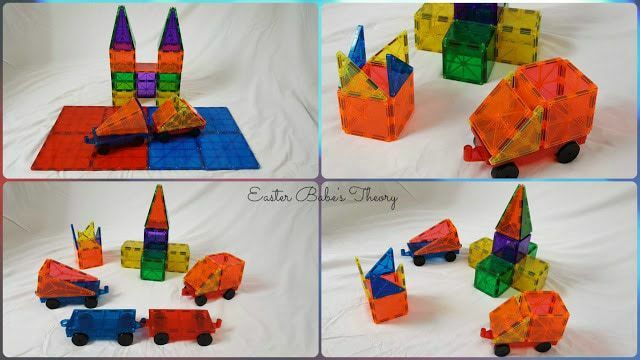 Kids can express themselves by experimenting with their own designs. The creative combinations are endless. This set of Mag Builders are labeled as a STEM toy. This means that it reinforces Science, Technology, Engineering, and Math concepts. This is vital to kids learning development. 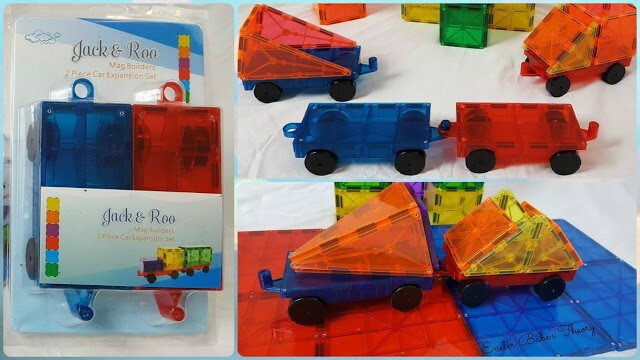 This toy allows them to learn colors, shapes, architectural design, and more. They will have fun building and learning at the same time. You can also get additional Mag Builders flatcars to create more vehicles. All of the flatcars have a hitch so you can connect them together. Kids will have fun creating trains, trucks, and more. They are approximately 6″ x 3″ and you can add the magnetic tiles on top to make them larger. I was honestly surprised when I received my toy set. I wasn’t expecting such an extravagant set. I’m really impressed with the storage case along with the durability of the magnetic pieces. The tiles are about .25″ thick. They are colored yet transparent which I love. The magnets are extremely strong. You don’t have to force them to stick together at all. This does make it tricky sometimes when you are building something large. When the pieces get close together, they will strongly attach to each other. This does make it simple when cleaning up though. They stack perfectly inside the storage case with some room to spare. Kids will spends hours playing with this and adults will even love to join. It makes a nice toy for siblings, friends, and family to play with together. 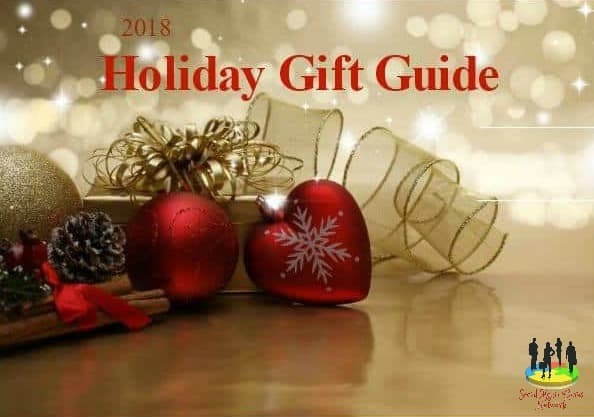 I definitely think this makes a great gift option for many occasions such as birthdays and Christmas or simply just because you want to make some child happy. All images are the property of Easter Babe’s Theory. Please only use these images if you intend on giving Easter Babe’s Theory credit. Please do not alter the images in any way. I love these magnetic type building toys that I have been seeing everywhere. This brand looks very durable.